Figure 1. A comparison between poor and excellent instream habitats. The images are from Turkey Creek, AL and are less than 1 mile apart. 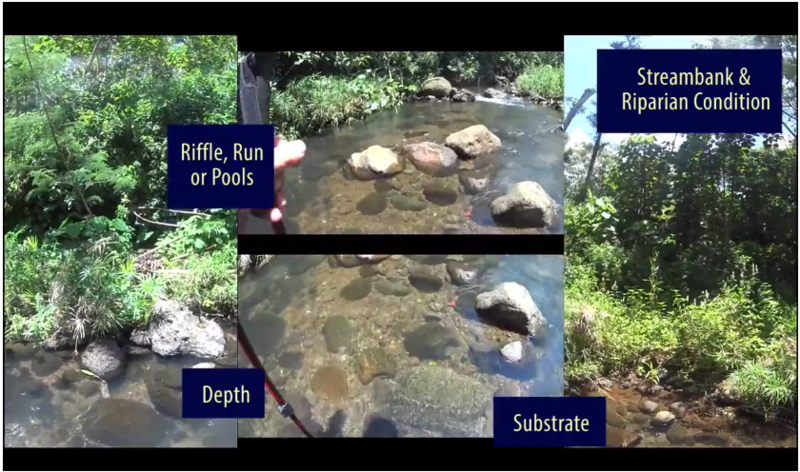 This highlights how habitat conditions can vary greatly throughout a stream and how surveys should cover long segments of the stream to accurately describe instream conditions. The measurement of habitat is usually a combination of more specific conditions (Figure 2). 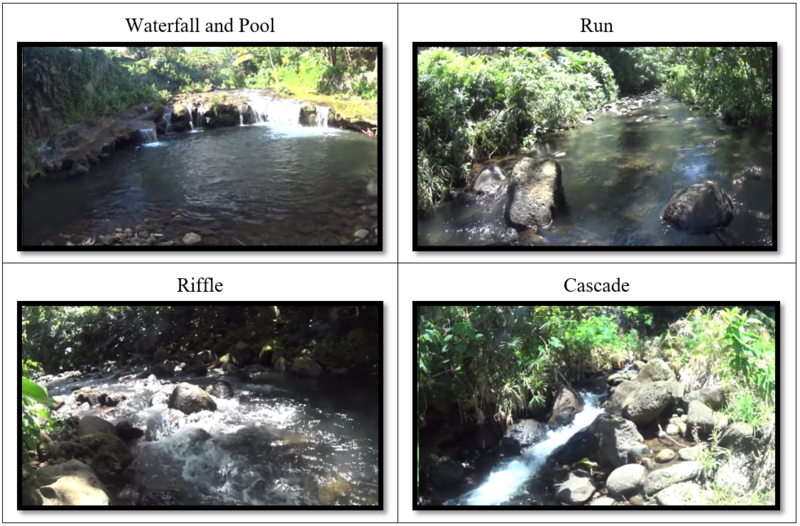 For example, habitat type (riffle, runs, and pools) (Figure 3), substrate (Figure 4), substrate embeddedness (Figure 5), water depth, and instream cover can be delineated and combined to score overall habitat condition. Figure 2. An example of the HDSS backpack video and the ability to see many different habitat components at one time. Figure 3. An example of Habitat Type Classification. These images are from the HDSS Backpack system. Figure 4. 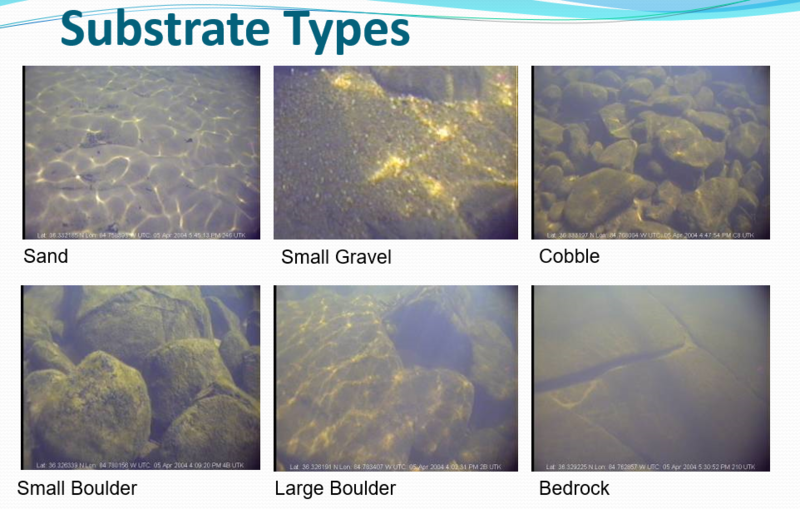 An example of substrate types that can be classified from the HDSS data. Figure 5. An example of substrate embeddedness that can be classified from the HDSS data. Substrate embeddedness measures the amount of fine sediment that surrounds the larger rocks in the stream. 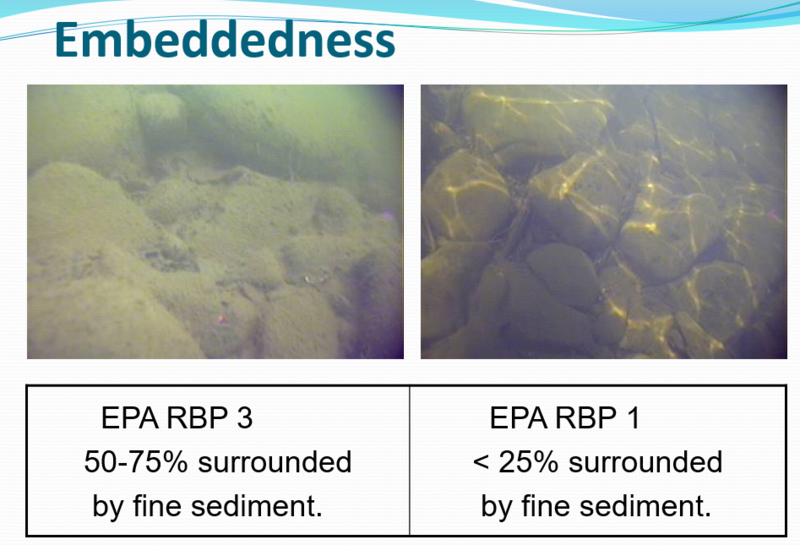 When embeddedness is high, the fine sediment can fill up all the spaces among the rocks and deteriorate or eliminate habitat for small fishes and invertebrates.